The international team work to facilitate the extremely hard working team in Uganda. This usually comes in the form of fundraising, publicising, sourcing and transporting appropriate equipment and dealing with all external enquiries. The team has developed over the years, since Mwenya's creation in 2011. All of the team have extensive volunteering experience in sub-Saharan Africa and are helping with the running of Mwenya Uganda alongside their jobs, inspired by the ever dedicated and passionate Team in Uganda. Since her first trip to Madagascar, Elizabeth has been passionate about promoting and taking part in ethical and sustainable projects in Africa. Elizabeth has volunteered in an orphanage in Kenya and worked on sustainable development grassroots projects in Madagascar, such as latrine construction, building fuel efficient stoves, tree planting and community mapping with the Malagasy NGO, Azafady. These experiences have shaped her life and career choices. Having worked as a door-to-door charity fund raiser; she has unending enthusiasm to translate her experience and passion for African culture into practice to make a real, sustainable difference to people in Uganda. Elizabeth has been deeply involved in Mwenya Uganda's journey from a dream to a thriving reality. She is in daily contact with the team in Uganda to monitor and discuss how the projects are developing. Over the past three years, Elizabeth has worked closely with the other founding members of Mwenya to help build the NGO that you see today. In 2013, during Elizabeth's final year of university, she became the project leader of Helping Uganda Do Business, a initiative set up under the Enactus umbrella at The University of Exeter. She recruited a team of passionate and knowledgeable students to help the Ugandan team design two social enterprises to fundraise for Mwenya on the ground. In June 2013, she led the group of 12 students to Uganda to set up the two social enterprises. The enormously successful trip surpassed everyone's expectations thanks to a hugely dedicated and motivated group of students. 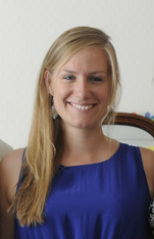 In 2013, Elizabeth wrote her dissertation on the motivations and ideologies of international and African volunteers working with Mwenya Uganda. Elizabeth is fondly known as "Mama Mwenya" to the team in Uganda! 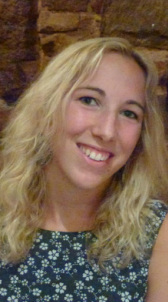 With a degree in Medical Science from Leeds University, Laura has an ongoing interest in public health and nutrition. She has volunteered in Madagascar and Kenya inspiring her to help make a positive difference to the healthcare available in rural Africa. She feels that helping Ugandan people to help themselves, by improving health and education, is a huge step to reducing the numbers of people in absoute poverty. Having previously worked as a Health Care Assistant at Jersey General Hospital and as a Project Assistant in a bank, Laura has combined her skills in both areas to help Mwenya Uganda throughout its journey.